Base metals traded at LME have enjoyed their best quarterly performance in Q1 since 2009. The LMEX index rose by 9.1% for the period, while prices of all metals gained, with the exception of lead whose price remained unchanged. The best performer was nickel, soaring by over 21%. As so often, the main contributor to this price growth was China – the country’s official Purchasing Managers’ Index (PMI) rose to 50.5 and private manufacturing survey index Caixin’s PMI to 50.8 in what is indicative of both indices’ entering an expansive phase that is well above expectations. Stimulus measures taken by the government and Central bank have already provided their desired impact, but the tax cuts that are effective as of April 1 should further support China’s economic growth. Another boost to base metals came after both China and the United States announced “new progress” in the latest round of trade talks that wrapped up on April 5 in Washington. During a meeting with Chinese Vice Premier Liu He, US President Donald Trump declared that both countries were close to a trade deal, even if some details still need to be worked out before a final agreement can be reached. Nonetheless, the prospect of finally resolving long-standing trade issues led speculative financial investors to expand their net long positions in copper, aluminium and nickel in the last week of March, the LME’s statistics showed. At US$ 1923/t, the aluminium price reached a three-month peak on March 20, after major producer Norsk Hydro was hit by a cyber-attack that caused its smelters to switch to manual operation and some extrusion plants to be shut. However, the company was able to recover and regain normal production, with the price “back in the normal” with an average of US$ 1860 per tonne so far in April – the same as the average price in Q1. During the same period, the US Dollar strengthened against the Euro, from 1.14 in January to 1.12 in April, adding some downward pressure on metal prices. LME-registered aluminium stocks fell from 1.3 million tonnes in mid-January to 1.08 million tonnes on April 12. 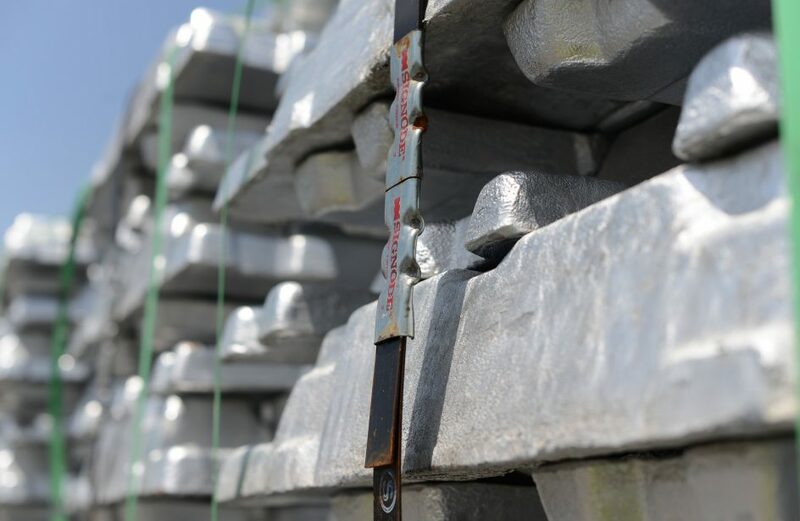 Total aluminium stocks in the world were estimated at around 11 million tonnes at the end of 2018 and are expected to further fall below 10 million tonnes by end of this year. Global aluminium production is expected to reach 70 million tonnes this year, about 56% of which will be produced in China. However, strong LME spreads bolstered aluminium premiums in both the US Midwest and Europe in the week ending on Friday, April 12. Meanwhile, increased availability of the metal in Trieste helped increase market liquidity in Italy. 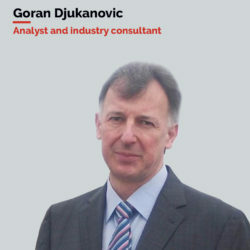 According to an assessment by Market intelligence firm Fastmarkets, the benchmark premium for duty-unpaid P1020 in-warehouse aluminium in Rotterdam increased to US$ 90-100/t on April 9, up from US$ 87-97/t a week before, with most market participants saying a consistently wide contango on the LME is supporting the premium. April 9 also marked the first time since June 2018 that premium reached US$ 100/t. In the US, Midwest duty-paid premium also ticked higher on tight supply. Noteworthy is the fact that average production costs for smelters in the world in January this year were lower (US$ 1800/t) compared to those in 2018 (US$ 2000/t) but still higher compared to 2017 (US$ 1600/t). This indicates that conditions for world aluminium smelters have improved although they still have much to go before they enter “safe waters” again. Chinese aluminium smelters are making profits again since mid-March, following months of consistent losses, according to SMM. The firm expects this to lead to imminent growth in China’s aluminium production, buoyed by lower alumina prices. That aluminium production is set to grow soon is also supported by figures collected by customs authorities which show that China imported a record-high quantity of bauxite in February (8.9 million tonnes), hinting that the industry is gearing up to increase output. China’s production of primary aluminium had previously dropped by 1.5% year-on-year in March to 2.98 million tonnes, according to the same SMM data. Q1 2019 production amounted to 8.63 million tonnes, 1.2% lower compared to Q1 2018, but consumption of primary aluminium increased by 4.9% y/y to 3.06 million tonnes. The country’s exports of the metal, meanwhile, rebounded from a two-year low in February and with 546,000 tonnes hit their second highest on record, Chinese customs data showed. This was an increase of 59% from 343,000 tonnes in February and a plus of 21 % for March 2018 when 452,000 were exported. Besides the February blip, Chinese aluminium exports have been riding high since semi-finished aluminium products were given a higher value-added tax (VAT) rebate last November. Beijing reduced the VAT rate on the manufacturing sector to 13 %, down from 16 % starting on April 1 to ease pressure on its economy. Chalco, China’s second largest aluminium producer, reported a boost in 2018’s aluminium output by 16% to 4.17 million tonnes, putting it ahead of Russia’s Rusal as the world’s second-biggest publicly traded producer of the metal. Still, Chalco had to post its first quarterly loss in more than three years. Meanwhile, Chinalco, Chalco’s unlisted parent company, now has a group capacity in excess of 5 million tonnes after taking over Yunnan Aluminium last year. The headline news from the aluminium industry in recent weeks was the announcement of a joint venture between Rio Tinto, Alcoa and Apple (Elysis) to work on “an advanced conductive material that releases oxygen rather than carbon’’. They plan to start licensing their carbon free technology by 2024. The final goal is an inert anode, made of ceramic instead of carbon, thereby cutting CO2 emissions to zero. Further advantages would include a 30-fold increase in anode life, 15% lower operating costs and aluminium production growth by 15%. A highly anticipated technological development, UC Rusal has also reported “beyond pilot scale” inert anode technology tests in recent years. This particular news wouldn’t be of much interest to this analyst had I not come across the same kind of news way back in 2000 at the beginning of my analyst career. It’s even more surprising given the rapid pace of the anode’s development in over the last four years, with this technology now, after almost 20 years, finally at the cusp of entering the mainstream production. I recall an international expert at the KAP alumina plant in Montenegro telling me at the time that inert anodes will never be a part of the aluminium smelting process. I’m not sure about the “never” part. But given that it took 20 years to get this far, his statement seems true enough. But despite the rapid advancement in the last four years, certain questions remain: how come companies have worked so long on this technology without being able to present a final product so far? Is talking about it alone sufficient to position oneself as a leader in “green technology” development? And why don’t Chinese companies participate in the race for this technology, at least not yet? What is certain now, however, is that the technology is still a massive gamble: if it ever enters production, will it be commercially viable? After all, companies seem to be able to achieve their climate goals even without inert anodes, at least according to their own records. Rio Tinto, for example, stated in its latest climate report to have produced 28.6 million tonnes of carbon emissions in 2018, but emphasized simultaneously that it was on track to fulfil its target of reducing emission intensity by 24 % from 2008 levels by 2020. The continually record-high Chinese exports have cemented an aluminium price below US$ 1900 per tonne this year so far, excluding a short period in the wake of Norsk Hydro’s cyber-attack. With market conditions such that the aluminium price is likely not to reach, much less exceed, US$ 2000 per tonne for the rest of the year, aluminium smelters can take comfort in lower production costs. Further cost reduction can be expected once the Alpart alumina refinery restarts at full operational capacity. In 2019, global primary aluminium production (excluding China) is expected to grow by roughly 1 million tonnes. The main contributor will be Alba’s line 6, but the restart of several US smelters will hopefully add some 300,000 tonnes to the market as well. Yet it will be of no surprise that China will produce most, adding some 3.5 million tonnes to its production over the course of the year. In order words, there will be no shortfall of aluminium in the market in this year. 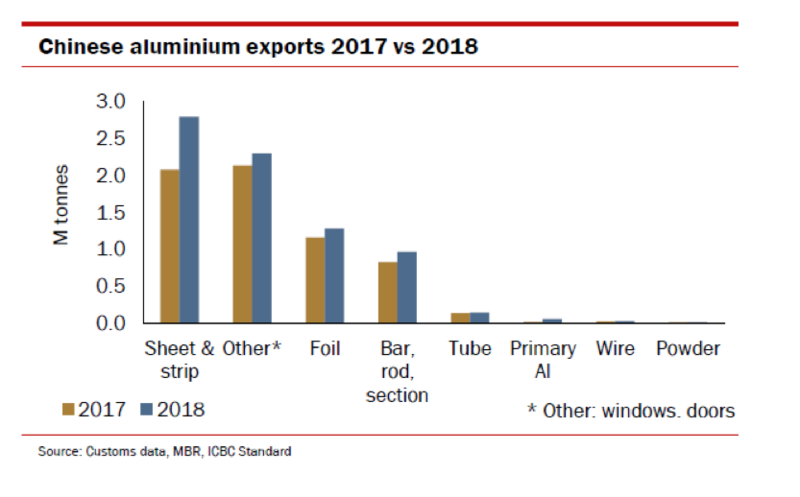 To the contrary, if exports from China remain at current levels (over 5 million tonnes annually), combined with -higher availability of scrap in US, the potential for sustainable aluminium price growth throughout 2019 will remain limited.